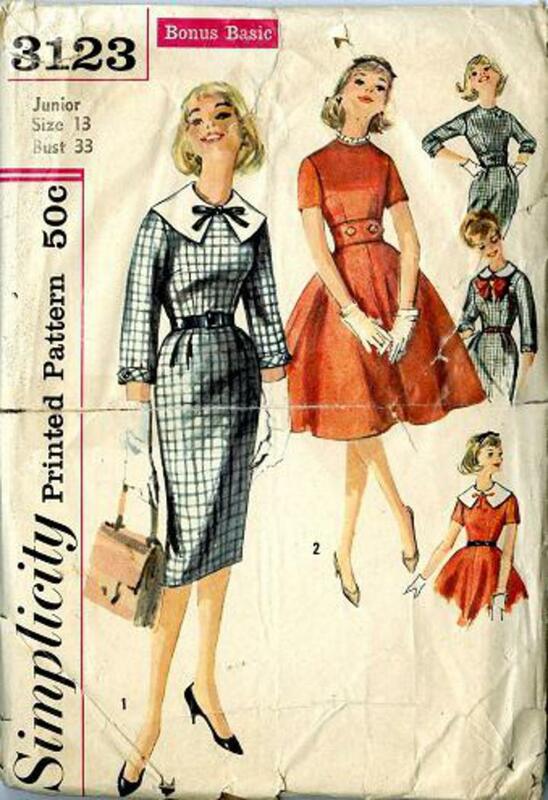 1959 Simplicity #3123 vintage sewing pattern, junior miss dress with full or pencil skirt, detachable collar, size 13. Dress has round neckline, set-in sleeves and wide self belt. Each view has detachable accessories.